A recent incident of racism directed at Undergraduate Student Government President Rini Sampath — in which an undisclosed fraternity member hurled a drink at her and yelled, “You Indian piece of sh*t!” — and her subsequent Facebook post about it, have led to larger discussions of race relations on campus. Many of the comments on the status, which was posted Sunday and has since accrued almost 10,000 likes and 1,500 shares, were students sharing similar experiences of discrimination they have had at USC. 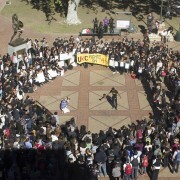 Members of the USC community say it has brought to light an issue that has long existed here in the shadows on campus. At a fraternity tailgate this month, Buck Andrews, a sophomore majoring in communication and a member of the greek community, said he and a friend were both called a “f*g” and asked to leave the event. Like the incident with Sampath, the house has since apologized, but Andrews says it is indicative of a persistent and widespread issue of discrimination both at USC and within the greek system. For some, the discrimination has been bad enough to prompt them to leave the university altogether. Corey Walker, a black former USC student, says he was continually discriminated at the University based on his race, specifically during encounters with those in the greek system. He transferred to the University of Michigan this past semester, citing that his status as a member of the black community never made him feel comfortable on campus. 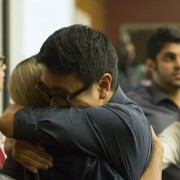 “It was so emotionally draining being a part of that university,” he said. The incident with Sampath has sparked a strong response from the IFC, which has worked to separate themselves from the actions of the individual fraternity member. Interfraternity Council President Jake Simon spoke out against the member’s behavior involved in the Sampath incident and said the IFC would work to combat future instances. 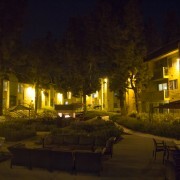 The member has since been evicted and suspended from the fraternity. 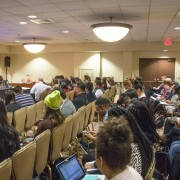 Though last Sunday’s incident sparked campus-wide discussion, the administration and USG are looking into ways to reverse the tide on a now crippling perception: that the University is a discriminatory one. In the 2014-2015 school year, for which numbers are most recently available, the University reported the student population was 33 percent white. Asians and African Americans are 18 percent and 5 percent, respectively, while international students make up 23 percent. 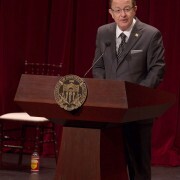 USC administration has said the numbers are indicative of an open campus, but also one more susceptible to types of discrimination. Soni’s call to action echoed a similar plea by Vice President for Student Affairs Ainsley Carry in a letter written to the USC community on Tuesday and co-signed by Sampath. Next Wednesday, USG will be holding an open forum, “Voice of USC: The Diversity Climate on our Campus,” for members of the USC community to express their thoughts regarding the issue of racism and other discriminatory behavior at the University. They hope from thoughts and stories shared there they can formulate a future action plan. The organization acknowledges, however, that changes won’t be sudden.